A searing investigation of the factors that nearly destroyed Puerto Rico in the wake of Hurricane Maria, from acclaimed investigative reporter Michael Deibert. When Hurricane Maria roared across Puerto Rico in September 2017, it devastated the island. It was an unprecedented natural disaster, a category 5 major hurricane, and ultimately responsible for the deaths of more than 3,000 people. It also ripped away the facade that had dominated discussions of the island's relationship with the United States for over a century. 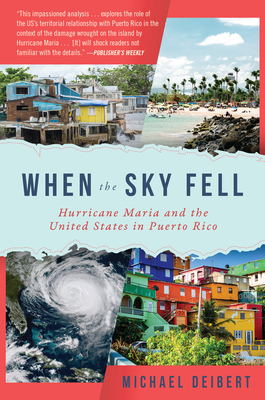 This is the first book to comprehensively expose what happened during Hurricane Maria, why Puerto Rico was so poorly prepared, and why a US territory, an island of American citizens, was largely ignored by the federal government in the wake of a catastrophic natural disaster. Using a blend of history and on-the-ground reportage, Michael Delbert pulls back the veil of the island known for its powdery beaches, rainforests, and apricot-and-lavender sunsets to reveal the trajectory for the decisions that set it on the path to the disaster that came during and in the wake of the storm, when its entire power grid and much of its water supply was knocked out. In doing so, he also reveals the stories of everyday heroism, compassion, and unexpected joy that have defined the island before and after Maria.